Digital marketing, which includes email marketing, is a very effective strategy to growing your business. Most significantly, email marketing and outreach allows you to gain valuable insights into what information and messaging is important to your prospective and current clients. With each email sent, marketers can see open and click rates, and who opened and clicked on a link in the email. As a result, prospects can be easily identified, and messaging modified to grab the attention of other targets. 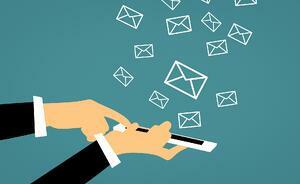 With all of these facts about email marketing, it is evident that the strategy works. While your firm is probably using email marketing as part of your overall digital marketing strategy, are you seeing the ROI and maximizing the benefits? Learn more about tracking and measuring email marketing success rates here!